An Italian soda is nothing more than ice, syrup and club soda, and can be topped off with a little cream to make it all even better. Let’s all have something chilled and drinkalicious today! So that means, today is a great day to celebrate this perfect summer drink. Is it summer already, you might ask? Well, I know it’s only May now. But officially it’s about summer time in 15 days. Yeah! June is officially the summer month. It I talk about weather, it’s so unpredictable these days. Though May is usually a warm month, but we are still living in cold with full jackets on. Sun shines one day and the next day it’s dull and rainy again. However, yesterday the sunlight was dazzling and for a while all was gleaming again. Whenever it’s bright and warm outside — there is a scream in my house for some chilled drinks. So, to keep the summer emotions in harmony, I made a chilled drink for us. If I tell you something about myself — I adore starting my day with some steaming hot coffee. But in the hot summery days, hot coffee is the last thing I would want in the mornings. Some cold drinks do wonders in such days. I would love to have anything ice cold. And this Italian Cream Soda in one of those icy cold drinks. This is MARVELOUS. This is super reviving. And it’s really fun to create. Oh Yes, it is! Something about this cream soda really fascinates me. It might be because it has berries, or may be because it’s sweet, fizzy and chilled. Or maybe it’s because of this marriage of cream and berries. This year, I am planning to make some different flavors. And this would include mostly berries, because we are in LOVE with berries. 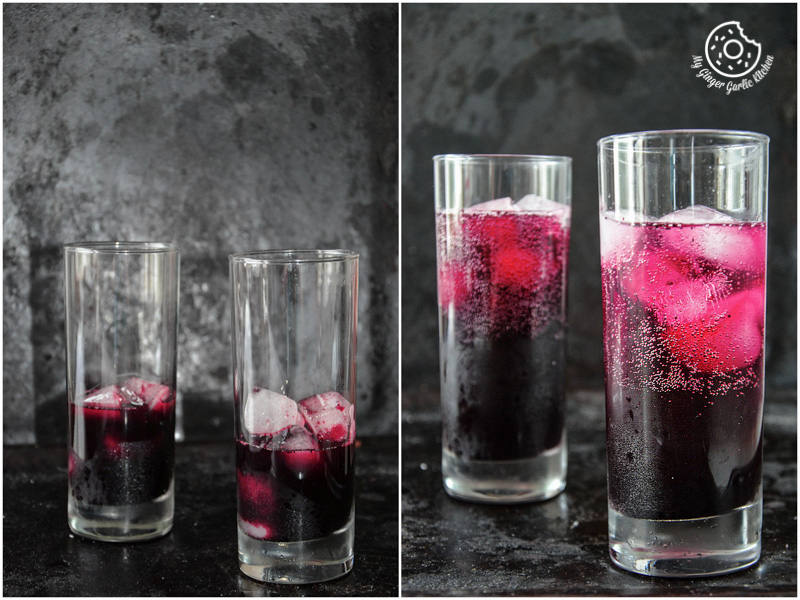 Making berry flavour syrup for this soda is as easy as making a pie. Literally, it is really quite simple to make. It would take about 15 minutes to cook, then you let it cool slightly and strain it through a clean flour sack towel or cheesecloth. And the beautiful jewel-colored, fruity syrup is ready to use. Summer is going to be so much about icy cold drinks. And there are certainly a few drinks that I look forward to the hot summer months. YEAH! I assure you that it’s a special treat which looks as good as it tastes. 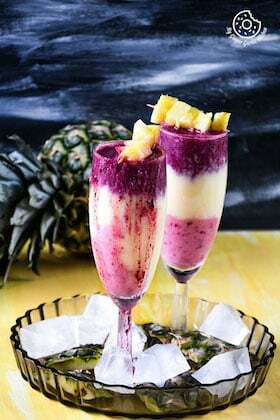 You can also add some champagne to it, and it’s going to be an amazing drink to sip on a romantic evening. Add this Italian cream soda to your menu, when you are grilling or making some sandwiches. 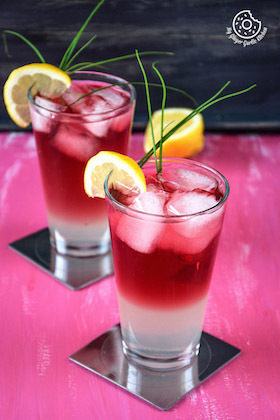 And this gorgeous drink can simply turn simple meal into an occasion. 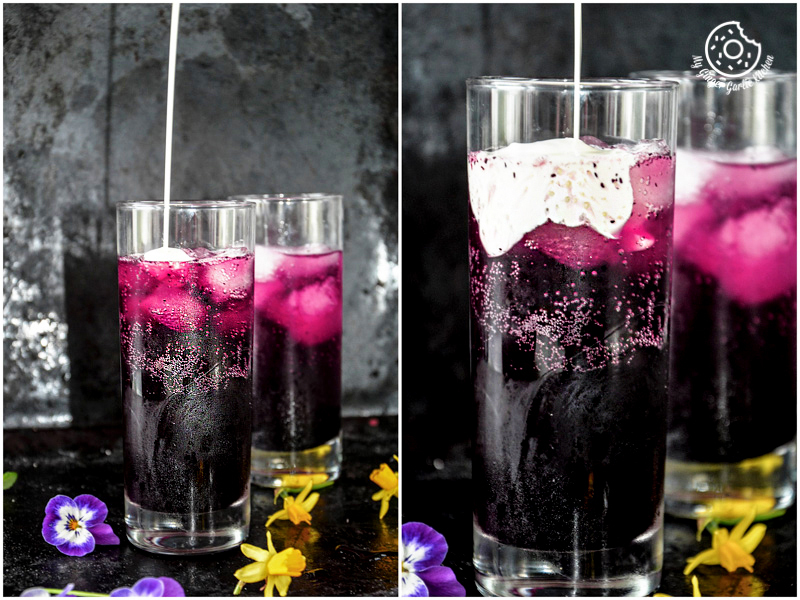 Today, I am sharing with you a very fundamental recipe for Italian Cream Soda. 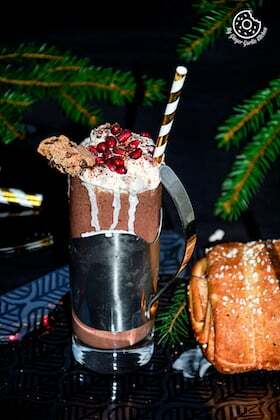 But you can top this with whipped cream and fruits, and you can even personalize it by changing up the syrup flavors. Simply mix and match the way your heart’s desire. You can also make sugar-free syrup, if you wish. Italian Cream Sodas are so simple to make and are ALWAYS a party pleaser. For Parties, make 3-4 flavors and let your guests have all the fun of making their own beautiful personalized drinks. This is going to be merrymaking for them, and they will just love this FUN treat! 🙂 . Let’s learn to make Italian Cream Soda. Combine the water and sugar, and berries in a medium saucepan. Bring it to a boil over high heat and stir to dissolve the sugar. Now reduce the heat to medium. Boil for 10 minutes. It should be pulpy by now. Remove from the heat, and pour through a strainer. Press the pulp with the back of a spoon to extract all the liquid. Store in the refrigerator in a glass jar until chilled and ready to use. Fill a tall glass 1/4 full of ice. Pour the syrup over the ice. Add the club soda, filling an inch from the top of the glass. Add the heavy cream to the top of the drink. Mix and serve immediately. Top with whipped cream and fruits, if you wish! Italian Cream Sodas are so simple to make and are ALWAYS a party pleaser. 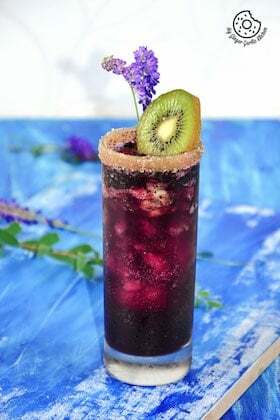 This made with ice, syrup and club soda, and can be topped off with a little cream to make it all even better. Fill a tall glass ¼ full of ice.